John Frederick "Jeff" Richardson was born in Superior, Wisconsin on November 30, 1950. Richardson was raised on Long Island, where he graduated from Paul D. Schreiber High School (1968) in Port Washington, New York. He then enrolled at Indiana University where he received his A.B. in History (1973). As an undergraduate, he served on the Union Board, the Indiana Daily Student Board of Publications, the Arts and Sciences Policies Committee, as well as being elected Vice President and then President of Indiana University Student Government. Richardson enrolled at the Indiana University School of Law, after receiving his undergraduate degree, and received his JD degree in 1977. In addition, Richardson holds the distinction of being the first full-time student elected to the Bloomington City Council, serving while in law school. Richardson began his professional career at Eli Lilly and Co. (1981-83). In 1981 he received his MPA in Public Affairs Management from Indiana University. After working for former Bloomington mayor and U.S. Representative Frank McCloskey (JD 1971) he became Commissioner of the Indiana Department of Human Services and then Secretary of the Indiana Family and Social Services Administration (1989-1993). From 1993 until 1995 he served as Executive Director of GMHC (Gay Men's Health Crisis), a not-for-profit organization that provides social services, education and advocacy for people living with HIV/AIDS in the New York City area. In 1995 he started a five year stent as Managing Director of Burson-Marsteller, a global communications and public affairs firm and in 2000 he became Vice President of the Abbot Fund, a global philanthropic program focused on HIV/AIDS in the developing world. He then became the Vice President of Abbott’s AbbVie Foundation, where he oversaw its international grants program. Richardson has taught health policy classes at the City College of New York, at Northwestern University, and at Indiana University. 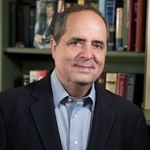 Richardson has received numerous honors, including a Sagamore of the Wabash, induction into the Indiana University President’s Circle, Distinguished Alumni awards from both the IU School of Public and Environmental Affairs and the the Maurer School of Law, as well as the University’s 2017 Distinguished Alumni Award. John Frederick Richardson was inducted into the Indiana University Maurer School of Law Academy of Law Alumni Fellows in 2010. In 2019, Richardson was awarded the Distinguished Alumni Award by the Indiana University Lesbian, Gay, Bisexual, Transgender, Queer/Questioning, and Others Alumni Association. "John Frederick "Jeff" Richardson" (1950). Notable Alumni. 122.